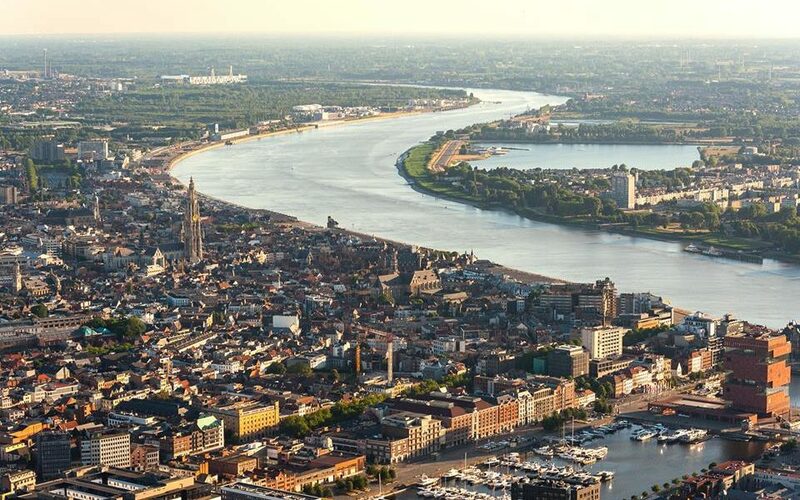 Currently at around 500,000, Antwerp’s population is fast growing, with a high birth rate and growing immigration levels. As with many other cities, this presents not only a physical challenge in terms of housing and education capacity, but also a social challenge in terms of ensuring that a diverse population is socially well connected and inclusive. The city has multiple extremism-related challenges, which it seeks to address through a series of prevention and social inclusion initiatives. Antwerp faces right-wing extremism, left-wing extremism, Islamist extremism, and animal rights extremism. With the highest European par capita levels of foreign terrorist fighters travelling to the Syria/Iraq conflict, Belgium has developed its own comprehensive approach to countering violent extremism and preventing radicalisation. Both the Federal and regional governments play an important role in the strategy. Key to the Belgian strategy is ensuring good communication between the Federal, Flemish, Walloon and municipal policy levels and adapting solutions to every local context. On a Federal level, the focus is primarily security and safety measures, while the regional and local levels focus on prevention and resilience-building. To a large extent, regions and cities can therefore design their own prevention programmes to complement national policy. In 2015, the Belgian Federal government issued 15 counter terrorism measures. One of these measures was reviewing the Belgian approach towards radicalisation, which led to an updated Plan R: the action plan against radicalism (in English). The Action Plan Against Radicalism aims to strengthen the ties between the different policy levels to maximise the sharing of information. In order to achieve this, different bodies have been set up and strengthened over recent years. Among these is the National Task Force, charged with the general management and the continuous monitoring of the Action Plan Against Radicalism. There are also multiple working groups (permanent, theme-based or ad hoc) designed to gather detailed information on specific topics and pressing challenges. Additionally, Local Task Forces (LTFs) were set up in order to ensure an efficient interaction with the local level. LTFs are a platform where different national and local actors meet to share information, determine policy, and propose measures on local problems and solutions to radicalisation and extremism. The Federal government also took measures to respond to more regional problems. For instance, the Channel Plan (“Kanaalplan”) was developed specifically for the region of Brussels and Vilvoorde. Its main goal is to strengthen the Police Departments in these cities with 1000 extra counter-terrorism police by 2019, in both frontline and administrative roles. To support this, there are plans to devolve more powers and responsibilities to the local police. 300 of the additional 1000 police will work in Brussels and the Brussels region (Molenbeek, Anderlecht, Sint-Joost, Koekelberg, Sint-Gillis, Schaarbeek and Vilvoorde). The Flemish government’s strategy is mainly focused on prevention and awareness-raising. In 2015, the Flemish government issued the Concept note on the prevention of radicalisation processes (in Dutch). It was developed in response to the high numbers of young people leaving for Syria from the Flemish cities of Vilvoorde, Antwerp and Maaseik and is specifically tailored to the challenges these cities experience. Also in 2015, the Action plan for the prevention of radicalisation processes that could lead to extremism and terrorism (in Dutch) was issued by the Belgian Association of Flemish Cities and Municipalities (VVGS /Vereniging van Vlaamse Steden en Gemeenten), based on the concept note developed by the Flemish government. The VVGS also published a practical handbook to prevent radicalisation on a local level (in Dutch) with tips and checklists, based on a similar Dutch handbook for municipalities. Antwerp’s departmental Living Together administration consists of around 700 people operating across the city’s ten districts. It works to connect individuals and communities across Antwerp and to restore inter-communal and neighbourhood relationships where they have lapsed or broken down. It aims to limit social polarisation by addressing a range of issues, including poverty, health, well-being and respect for the rules and customs of the city. To address increasing radicalisation among young people in Antwerp and the pressing challenge of foreign terrorist fighters leaving for Syria/Iraq, the city has acted to strengthen existing structures and departments, harnessing institutional knowledge and expertise whilst adapting to the immediate radicalisation and extremism challenges. The youth intervention team, for instance, was expanded to also reach out to radicalised youths and those specifically at risk of radicalisation. To deal with more specific tasks, Antwerp works with several civil society organisations, including ‘De Touter’, which offers counselling for individuals, families and groups. 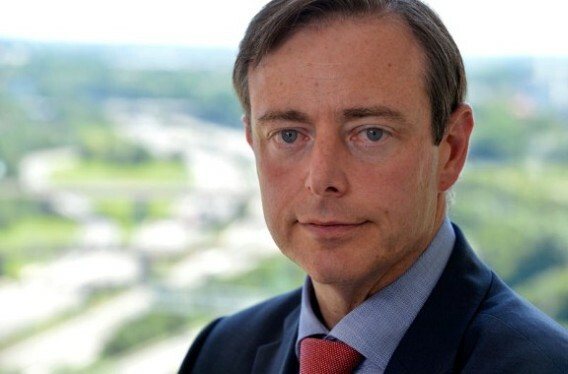 Antwerp also works together closely with other Flemish cities that face similar issues regarding extremism, including Vilvoorde, Mechelen, and Maaseik. Together, these cities wrote a brochure providing information and advice on how to deal with Islamist radicalisation (in Dutch), aimed at everyone who could be confronted with it, such as teachers, police officers and youth clubs. Guidance for addressing Islamist radicalisation, joint-produced by the mayors of Antwerp, Vilvoorde, Mechelen and Maaseik. Cases taken up within the latter remit of youth intervention have the most direct relevance to the issues of extremism and radicalisation. The scheme has been running for approximately ten years, prior to which these cases were dealt with exclusively by the police. Now led by the team’s social workers, access to young people with troubling or criminal behaviour is vastly improved. Teams are able to go into the homes of those on the scheme and to work with families to better address the underlying causes of their behaviour. The team’s work is guided by three fundamental principles: transparency; outreach (social workers are assigned as a coach); and inclusion. The intervention efforts are aimed at both individuals and groups. The individual approach entails counselling for radicalised/at-risk youths in their direct environment and referral to more specialised help when needed. The group-based approach aims to provide information and training for communities, schools, and institutions. Foreign terrorist fighters returning to Antwerp that do not pose a security threat also receive specialised counselling, aimed at reintegration into society and the prevention of relapsing into extremism. RAISING AWARENESS – this aims to help people understand the behaviours they witness and better identify whether they fit within the framework of radicalisation or whether another response is more appropriate. In terms of referrals to the social intervention teams, the signalling process works across several different municipal bodies and agencies, including the police, education, youth work, welfare services, social services, sports associations and others. Building effecting multi-agency partnerships across the city is therefore key to the approach in Antwerp. This also supports the city’s capacity to make use of existing institutions and expertise to deal with the range of problems that are often associated with the radicalisation process. Identifying the underlying issues in these cases often opens a case to an array of social problems the city and its partners have extensive experience in dealing with. Harnessing this knowledge, and the lessons learnt from these areas is an important facet to the programme when intervening in cases of extremism.